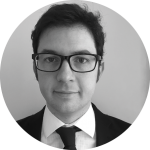 Senior Lecturer in Social Media and Digital Society at the University of Sheffield. Previous research into ‘dual screening,’ when individuals switch between broadcast media and social media and provide commentary during media events, has suggested that this ‘viewertariat’ is typically a small but vocal minority (Anstead & O’Loughlin, 2011; Vaccari et al, 2015) . My aim here is to add to the limited empirical data on these practices by exploring the preliminary results of a study of how Northern Irish tweeters responded to the BBC Northern Ireland Leaders’ debate on 6th June. While it is beyond the scope of this article to fully explore the context in which this televised debate took place, the continued impasse over efforts to restore the Stormont Assembly and disagreements over how to respond to Brexit had resulted in a negative campaign characterised by SDLP and Sinn Fein demands for a border poll and DUP rallying calls for unionists to come out in support of the Union. 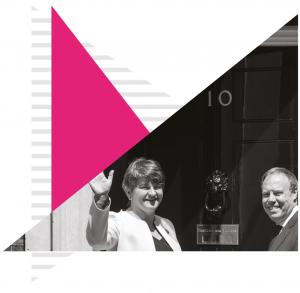 It should also be noted that there was much criticism of DUP leader Arlene Foster for declining an invite to participate (Sir Jeffrey Donaldson would represent the party), with Sinn Fein’s Michelle O’Neill also a late withdrawal due to illness (to be replaced by John O’Dowd). The BBC debate would also provide an opportunity for Colum Eastwood (SDLP), Naomi Long (Alliance) and Robin Swann (Ulster Unionists) to make a last pitch to the Northern Irish electorate before polling day. 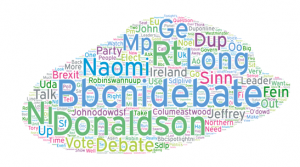 I used Discovertext to collect and analyse 1,842 tweets tagged with the official hashtag (#bbcnidebate) between 3pm and the end of the one hour live debate at 9pm. Twitter activity tended to spike just after key moments in the debate (see Figure 1). For example, between 8.27 and 8.30pm Donaldson would be ridiculed by tweeters for waving a photograph of Sinn Fein’s Máirtín Ó Muilleoir meeting Ulster Defence Association leader Jackie McDonald at O’Dowd when challenged about loyalist endorsement of DUP candidates in the election. The DUP representative would also be the main talking point during the spike in hashtagged tweets between 8.33 and 8.39pm, when there would be bemusement about how he knew about a forthcoming Belfast Telegraph story on Shankill bomber Sean Kelly canvassing for Sinn Fein. The response of tweeters to Donaldson’s contribution to the debate came at the expense of other talking points such as Brexit and the scandals that had resulted in the collapse of the Stormont Executive (see Figure 2). There were also efforts made by each of the parties to flood Twitter with quotes from their respective candidates and provide evidence to corroborate their attacks on each other. For example, the DUP official account tweeted a link to a story about Kelly’s link to dissident republican terrorists immediately after Donaldson’s claim about him canvassing for Sinn Fein. However, as per my previous study, the republican party appeared to be the most strategic in terms of their use of Twitter during the debate. One of the most shared tweets in the corpus (retweeted 17 times) was attributed to An Phoblacht, its official newspaper.Titled ‘SDLP credibility test’, it featured a picture of MPs Mark Durkan, Alasdair McDonnell, and Margaret Ritchie along with the caption ‘Couldn’t lead the SDLP’ and the hastag #Retired2Westminster. Nevertheless, it was notable that the tweets produced by each of the official parties represented at the debate tended only to be shared by accounts maintained by party activists and supporters. However, further work is needed in order to explore this preliminary finding about the ways in which these tweets were shared during the debate. Northern Ireland tweeters appeared to respond favourably to the performances of Naomi Long and Colum Eastwood. The former would be praised for ‘talking the most sense’ and recognising the complex causes of political violence (particularly in comparison to Donaldson and O’Dowd). They were also angry at Donaldson’s lack of respect for the Alliance party leader and for shushing her during the debate. The SDLP leader would also receive praise for his withering attack on O’Dowd, in which he claimed Sinn Fein had no influence in the EU Parliament due to its decision to sit with the communist parties of Bohemia and Moravia. Although O’Dowd received few messages of support via the hashtag, a few tweeters did express anger at host Noel Thompson’s ‘biased’ and ‘unfair’ questions to the Sinn Fein representative. Further work is needed in order to understand the dynamics of these information flows and what impact, if any, they have on digital ‘refuseniks’ and ‘watchers’ who don’t contribute to such hashtags. However, these preliminary results do suggest that social media metrics (e.g. retweets) may offer greater insight into the relative popularity of each party rather than the views expressed by ‘unaffiliated’ citizens.Figure 1: #bbcnidebate tweets during Northern Ireland Leaders’ Debate, 8-9pm. 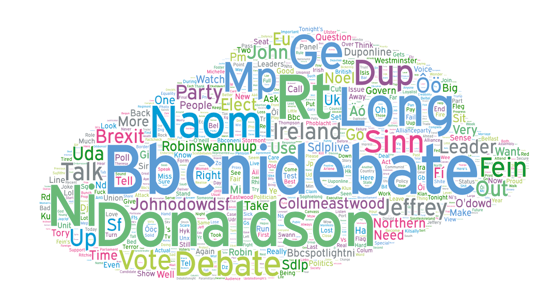 Figure 1: #bbcnidebate tweets during Northern Ireland Leaders’ Debate, 8-9pm.